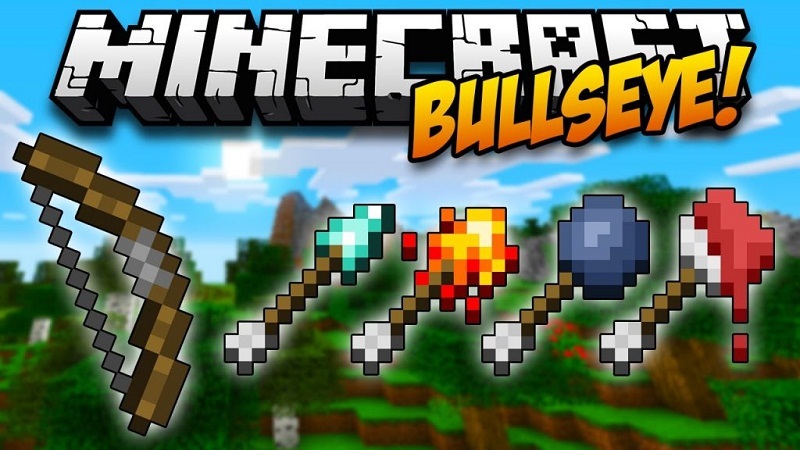 Bullseye Mod 1.12.2/1.11.2 provides you with a handful of new arrow types, ranging from fire arrows that can catch blocks on fire, melt ice, and burn mobs, to dye arrows that can dye sheep. The players will gain a lot of experience with leather armors and various blocks. Bomb Arrows are arrows that explode on contact with blocks and mobs. 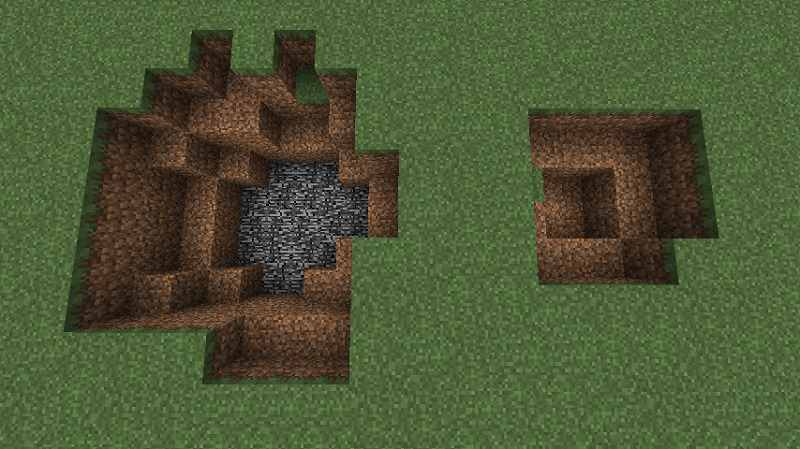 The will destroy most terrain blocks, although they have a smaller explosive radius and deal less damage than TNT. You can disable Bomb Arrows from destroying blocks in the configuration settings. They will still damage mobs, however. Diamond Arrows are an enhanced version of regular arrows. They deal more than twice the amount of damage that regular arrows do, and do not have any special effects. Dye Arrows deal 1/8th of the amount of damage that regular arrows do, so they are good to use for minigames with other players. Egg Arrows are a gag item that have a chance of spawning a chicken upon breaking. Extinguishing Arrows can put out fires, turn lava into obsidian, break torches, and remove dye from stained hardened clay blocks, glass blocks, glass pane blocks, and players wearing leather armor. Fire Arrows can catch mobs on fire, as well as blocks. They can also melt ice and snow blocks, and turn packed ice blocks into ice blocks. You can disable Fire Arrows from catching blocks on fire in the configuration settings. They will still burn mobs, and melt ice/snow blocks, however. Ice Arrows can turn water into frosted ice, form snow on blocks, and turn ice blocks into packed ice blocks. Lightning Arrows make lightning strike and catch fire wherever they land. You can disable Lightning Arrows from catching fire to blocks in the configuration settings. They will still burn mobs, however. Training Arrows are good for practicing your archery skills. They do not damage entities, or stick into them, so you can pick them back up if you hit one. They are crafted with rabbit hide, a stick, and a feather.